B.C. 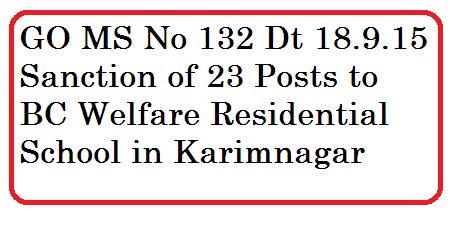 Residential School for Girls at Kamalapur (V&M) Karimnagar District – Orders - Issued. In the G.O. first read above, orders were issued establishing new B.C. Residential School for Girls at Kamalapur (V&M) Karimnagar District.